I loved this book!! I enjoyed the diversity of the characters, the world building, as well as the storyline. Honestly I could not put this book down, I read it all in a 24 hour period. There was romance, action, mystery, and sci fi so there is something for everyone. I gave this book 4 out of 5 stars. If you are a fan of Daughter of Smoke and Bone you will be a fan of this story! Let me know if any of you have read this and what you thought. I can’t wait to continue with this series!!!! Happy reading y’all!!!! Sounds great! Glad to hear that you enjoyed reading it. I’m glad you enjoyed it lovely! 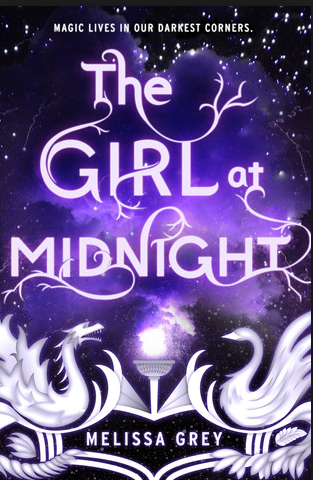 I’ve been wanting to read The Girl at Midnight ever since it came out. It sounds super good plus the cover is stunning! The gorgeous cover is the first thing that made me want to pick up this book.